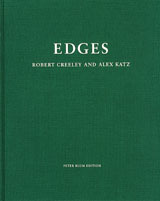 Hardcover, 8.5 x 10.75 in. / 136 pgs / 85 color / 11 bw. Text by Roland Mönig, Guy Tosatto, Timo Valjakka, Eric de Chassey. 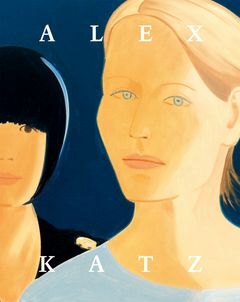 Alex Katz (born 1927) has become a leading chronicler of modern life in America, a model and forerunner to several schools of painting that came after him. 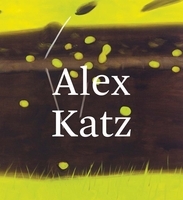 Portraying in deadpan style the faces of New York and its environs since the 1950s, when he was a part of the later Cedar Tavern scene, Katz makes everyday enigmas of people, at once emptying them of meaning and bestowing upon them specific character and specific roles in life. 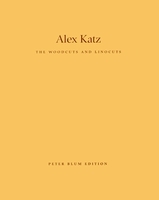 Some of these faces may be familiar (poets Allen Ginsberg and Ted Berrigan), others equally striking simply add to Katz's sense of modern life as a parade or a pageant. An American Way of Seeing surveys work from 1968 onwards, from paintings to cutouts and multi-panel works. The more recent paintings reproduced herein convey new hints of lyricism, in their depiction of reflections in water and mute night-time scenes. FORMAT: Hbk, 8.5 x 10.75 in. / 136 pgs / 85 color / 11 b&w.